For Woo Hoo Wednesday this week I just couldn't pass up the chance to share a little of Tanner's graduation with you. At my request, we took a picture of the four of us before leaving. Do you kow how hard it is to get three men to take a picture? The graduating class of Edmond North High School. There were about 530 graduates! These brothers love each other. Great friends since 3rd grade. We had a big family gathering for most of the weekend. For all of you who advised me to take Kleenex, you were so right! Graduation wasn't as bad as the Senior Recital on Sunday. Let me just say it was embarassing. We are so proud of our sons! 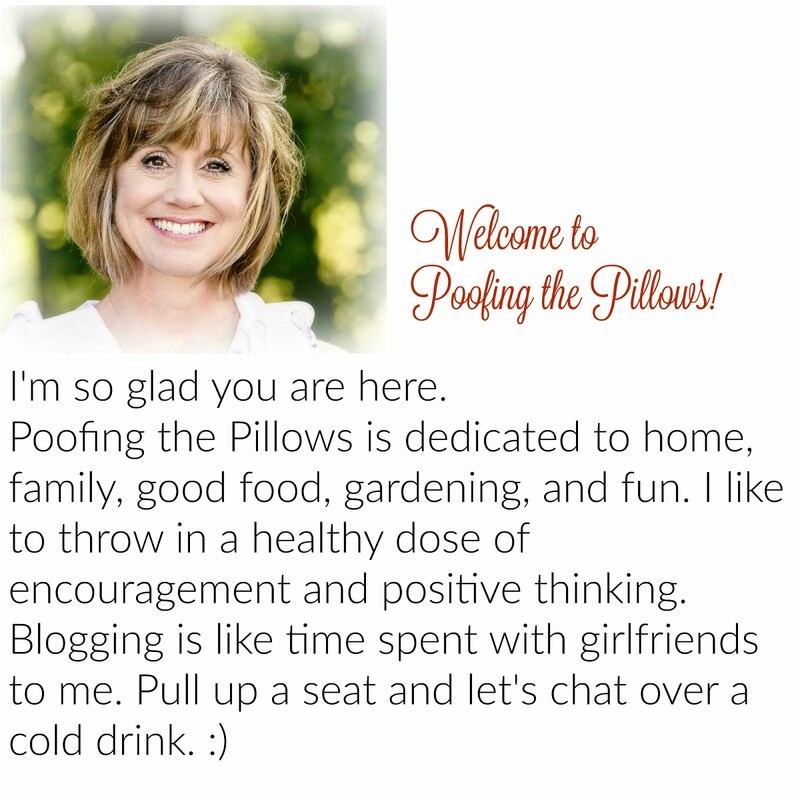 Be sure to visit the other Woo Hoo Wednesday participants hosted by Marla at Always Nesting. You don't want to miss this party. Congratulations to you and your son! My daughter will also be graduating from high school on June 10th, and although she is beyond excited, I'm not so ready!! I will take your advice and have tissues handy! Congrats! to you & your handsome son, Stacey ... glad you had a lovley & proud time. Oh Stacey...you have a beautiful family! You all look so happy! I am thrilled to hear that the weekend was filled with fun and laughter and of course good food! You should be proud of those darling boys...aren't we lucky to be blessed with such amazing kiddos! I love seeing all of your photos...thanks for sharing! WooHoo! Awwww....I just love high school graduations and then comes college. What a proud moment for you and what a handsome son. Thank you so much for linking this to Woo Hoo! Wednesday and sharing your celebration with us. Hi Stacey! Woo Hoo for your son! What a handsome family you have and I love seeing you again - you're as pretty as a picture! Looks like a very happy family! Oh girl....I can feel your pride. Ten years ago, Memorial HS, class of 2000 my sonshine graduated. In 2003 our girl did the same. I was and am still so proud of them both. Great family picture! Tanner looks so happy, especially holding his new laptop!! What a gorgeous family you have! Love the picture...I know what you mean about guys not wanting to take pictures...mine aren't the best at posing..but your picture is definitely a keeper! Congrats again! P.S. We are still cleaning up from the hail storm. Glad you were out of the line of hail! A milestone for you and your husband and a big one for your son. How wonderful! We are so looking forward to our boys' graduation on Friday! Good for you for insisting on that photo of the four of you. What a great looking family. Congratulations to your son. It is a big step with so much yet to come. It is so good to see brothers who love one another. I have 3 sons in their 30's and they are still best friends. Congratulations! You have a great family. Look at your beautiful family! I love that wonderful photo of the four of you. Those are some handsome boys!! I know what you mean about needing the tissues -- you're not the only one! Congratulations to Tanner (I love his name!) on such a memorable milestone in his life. It was captured beautifully in your pictures, and I know you and your husband are so proud of his achievements. Congrats to your son! What an exciting time for your family. As for the Kleenex - I always have them on hand at special occasions. What a fabulous picture of the four of you. Congratulations to your dear son and I know you and your whole family is SO proud of him! What a beautiful picture of the family. You must be so proud. I love your heart. Congratulations Tanner! Way to go graduating! He is so cute. And he looks SO young. They grow too quickly, don't they? Congrats! Congrats! Your family is beautiful! We Moms always have to get those photos in, don't we? LOL! What a milestone for your son. He's adorable and looks so happy to be graduating and starting a new chapter in his life. Hi Stacey! Congrats to you and your family!!! We are celebrating the same thing this year! Congratulations to you and to your son! Such an exciting time for one's family! Our grand daughter is graduating this year also.. Seems like she was just born, and here she's graduating from high school! The years have flown by! Your sons are very handsome young men. No, I can't imagine getting 3 of them into a photo; I can't even manage to get one to stand still for a picture! Congrats! Congratulations, you must be such a proud Mom :-) Glad you got the photo of all 4 of you. So happy for you!! Definitely worth the "WooHoo"! you made me laugh on the "being famous" for the Matthew Mead cookie recipe!! Thank you for visiting!! Stacey, you have a gorgeous family. I love the picture of the four of you. I know you are so proud of your son. Time flies so quickly! It seems like only yesterday my daughter (33 now) was graduating... precious memories. Enjoy them every one! Storm warnings again this evening. Congratulations to you son (and to his parents)! Such a wonderful accomplishment and a fun event shared by family & friends. Thanks so much for stopping by my blog today and leaving such a nice comment! What a good looking family you have! What treasured memories you have created. Congratulations to your son on this milestone in his life! I know how much thought and work you put into your part of this graduation celebration, and seeing all the smiles on everyone's faces helps me know it was all worth it. I am sure you are both so proud of your sons and all their accomplishments. Thanks for sharing it with us. WOW! That is some graduation! Congratulations to your son! These are awesome photos, you pretty thang, you!! Loved seeing your sweet family.